Tend to always warm and thirsty? 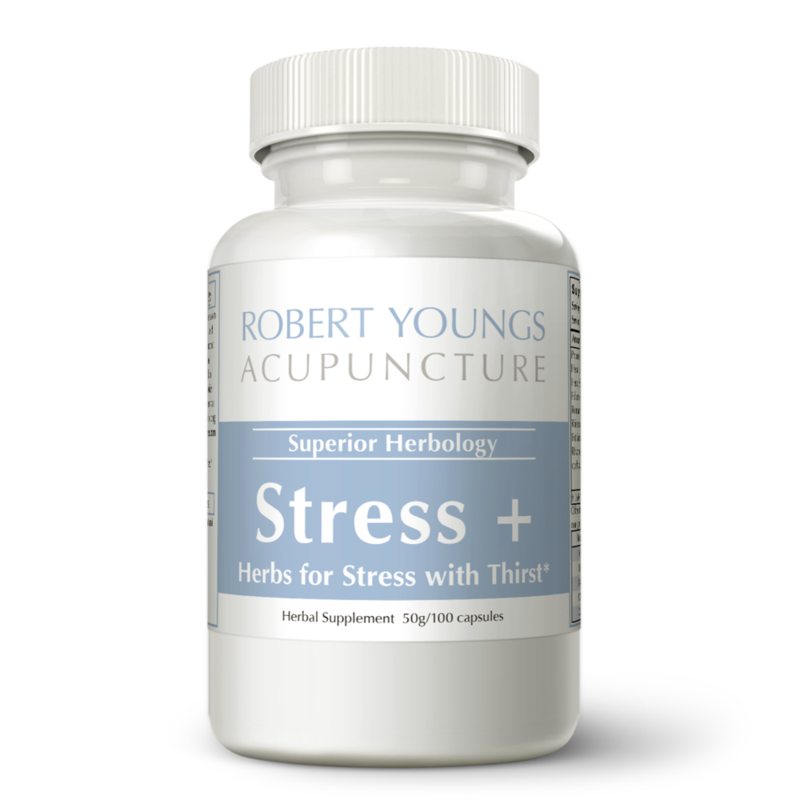 Stress Plus Thirst is similar to Stress Plus Heat with herbs added in for those who tend to be warm in nature and who find themselves Thirsty in the afternoon/evening (this is a result of yin deficiency). The energy of the body that keeps everything balanced and harmonized is called Qi in Traditional Chinese Medicine. Liver Qi energy can get stuck and become stagnant due to stress, overwork and emotional disturbances. One might feel irritable, frustrated, stomach upset, frequent sighing and other signs of stress. This formula smoothes the Liver Qi of the body, harmonizes digestive function, soothes irritability and boosts energy. Most people tend to have some heat in the body and tend to be warm in nature. If you’re not sure, default to the warm and take“Stress Plus Heat” or "Stress Plus Thirst". Dosage based on body weight. Take for a minimum of 6-8 weeks. According to traditional Chinese medicine, Mai Men Dong (Radix Ophiopogonis) moistens the Lung, nourishes the Yin and strengthenes the Stomach. It is also used to treat Heart-Yin deficiency problems. A weakened Lung is the result of Yin deficiency and can lead to complications such as dry throat, dry cough or difficult to expectorate sputum. Mai Men Dong can not only treat dry mouth and cough, but it can also nourish Stomach-Yin and promote the generation of fluids. Cold in nature and sweet in flavor, Bei Sha Shen (Radix Glehniae) can nourish the Lung. It is commonly used to treat dry throat, dryness of the nasal cavity, sore throat, voice loss and dry cough with no sputum. Due to its nourishing properties, Bei Sha Shen can also be used to alleviate Stomach yin deficiency. Clinic manifestations include dry throat, thirst constipation and a dry, red tongue.